Which are some of the appliances you cannot live without? 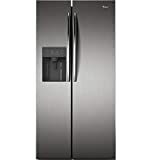 I believe that a refrigerator is one of these appliances since fresh food is a must-have for every family. However, have you ever considered that a side-by-side refrigerator is the way to go more importantly when you have many mouths to feed? If you haven’t thought about that, then you have a lot to discover from this coverage. Unlike the traditional top or bottom freezer refrigerators, side by side refrigerators offer you the convenience of grabbing food quickly due to the spacious storage that allows you to organize food. 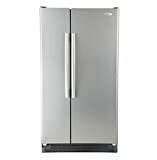 Besides that, although these fridges take a considerable space owing to the length, the units don’t take much space when opening since you do not have to swing the entire door for you to access the food stored in them. For these and other reasons, these units serve as a great option for medium-sized to large-sized families. However, how can you decide about the side-by-side refrigerator to purchase given the different models on the market? I hope to assist you with this. 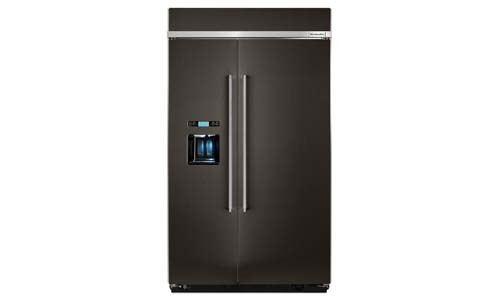 Keep reading so that you can have an idea of the top 10 best side by side refrigerators in 2019 and the factors you should consider so that you can pick the ideal unit. Get all the space you need to store food once you opt to get Kenmore side by side refrigerator. Equipped with 28 cubic feet of capacity, you will appreciate this unit’s ability to offer enough storage space. Besides that, the refrigerator adopts the Genius Cool technology where it uses dual evaporators and a linear compressor so that it can cool the freezer and refrigerator separately. You can expect the refrigerator to produce plenty of ice which is great for parties due to the Accela ice feature that boosts production of ice. Further, the refrigerator features a SmartSense temperature management feature that maintains the freezer and fridge at optimal temperatures to ensure fresh produce with no freezer burn. Kenmore refrigerator includes a premium water and ice dispensing system so that you can personalize the temperature of your water. Looking for a refrigerator that is designed to keep produce fresh for longer? If so, this side by side refrigerator includes two crisper drawers for this purpose. The unit features a total 21.7 cubic feet capacity to allow you to get enough storage for different supplies. Comprising the 21.7 cubic feet are 14.34 cubic feet which is the area of the refrigerator and 7.39 cubic feet which is the freezer capacity. LG side by side refrigerator measures 35 7/8 X 69 7/8 X 31 13/16 and also comprise a water dispenser to let you get fresh water at a glance. 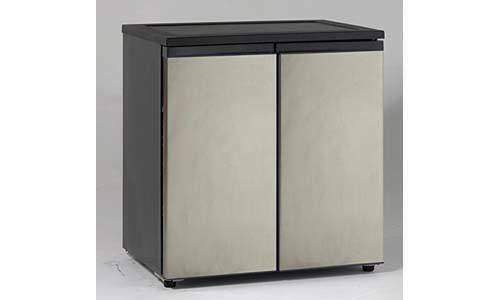 Taking the third position is KitchenAid’s side by side refrigerator which features a total size of 22.7 cubic feet. The unit features a water and ice dispenser so that you can get fresh water whenever you need it. Further, it features a counter-depth design meant to enhance convenience when storing food. You can be sure to have an easy time cleaning this refrigerator due to the spill-resistant shelves and the stainless steel finish. 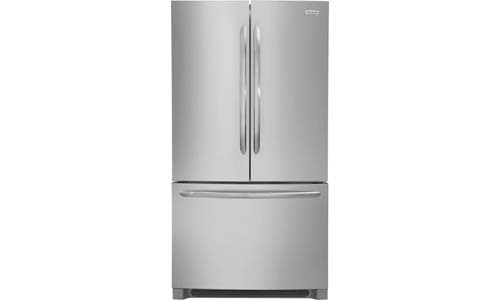 Also, the refrigerator provides the flexibility of accessing items even in low-lit areas due to the LED lighting feature. Are you looking for a refrigerator that is designed to fit in modern decors? If yes, Whirlpool refrigerator serves as a great option. The fridge features an LED lighting which makes it easy for you to access the supplies in the fridge. 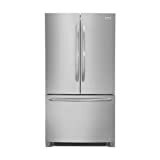 What’s more, it includes an electronic display with freezer and temperature controls to enhance easy operation. Another plus is that the unit adopts a 3D airflow ACCU-CHILL temperature system which manages the most efficient way to keep food so that it can last longer and maintain the compressor at the most efficient capacity. Also, the refrigerator is equipped with CFC free R600a refrigerant which enhances efficiency while enhancing eco-friendliness. Whirlpool side by side refrigerator includes a variety of shelves and drawers to assure you of finding the perfect spot to stash each item. 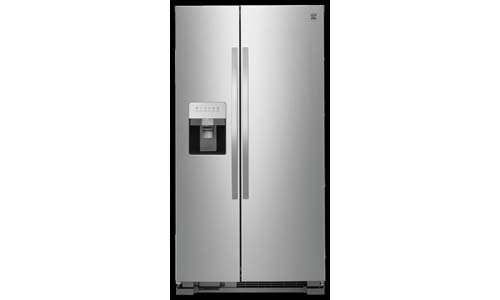 Acquire the space that is needed to store different foods once you purchase this 23 cubic feet refrigerator. In fact, the fridge allows for easy organization since it features a variety of bins and drawers among them four refrigerator door bins, five freezer wire shelves, a pull-out plastic drawer, two conventional ice cube trays, and five fixed freezer door shelves. Apart from that, it simplifies your time when it comes to cleaning due to the stainless steel satin finish that resists fingerprints and the adjustable spill guard slide-out glass shelves that hold spills to enhance ease of cleaning. 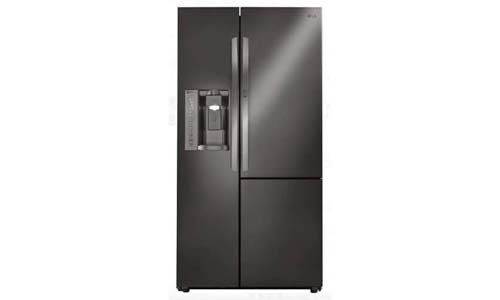 Featuring a spacious capacity of up to 22.4cubic feet, the Frigidaire side by side refrigerator serves as a perfect choice for those in search of a fridge that will maintain the freshness of a variety of foods. Besides that, the fridge includes effortless glide crisper drawers and an adjustable interior storage meant to ensure ease when you want to store items or empty the fridge. Due to the smudge-proof stainless steel, you can opt to get this unit when you are in search of a side by side refrigerator that is easy to clean. A side by side refrigerator doesn’t need to be designed to meet the needs of big families alone, the reason singles and college students will find Avanti side by side refrigerator the perfect unit to meet their needs. 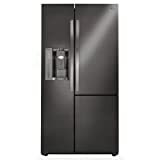 The fridge measures 31W x 23D x 33.5H and features a 5.5 cubic feet capacity where the refrigerator section has 3.3 cubic foot storage capacity and the freezer a 2.2 cubic food storage. You can use the fridge wherever and whenever you need to use one due to the interior light that illuminates its sections. Once you get it, cleaning shouldn’t be that stressful due to the removable glass shelves and the stainless steel door that acts to resist stains. 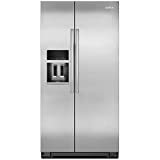 Further, you should never have to worry about the energy bills since Avanti side by side fridge is ADA compliant and thus energy efficient. On the next position is KitchenAid’s refrigerator which features a 29.5 cubic feet capacity. This means that the fridge is a perfect choice for those with lots of food to store. Besides that, the refrigerator includes a built-in water dispenser. As such, it is a perfect choice when you want to get fresh water with less hassle. 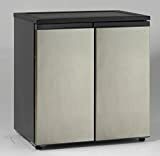 You can add this refrigerator into any kitchen décor since it features black-on stainless steel that makes it stylish to add to any kitchen décor. Equipped with a 28.4cubic foot capacity, GE side by side refrigerator serves as a great option for medium-sized to large families. Apart from that, the fridge is a great choice for those in need of an energy-efficient refrigerator since it is energy-star rated. You can use the refrigerator to organize different foods in the fresh-food multi-level drawers. Once you get it, you can access your supplies whenever you need them due to the angled all LED lighting meant to enhance better visibility. Whether you are in need of a fridge that will allow you to grab fresh fruits, frozen pizza, or healthy-to-consume leftovers, you can rely on Kenmore side by side refrigerator to provide enough storage. One of the features that make this refrigerator useful at this is the 25 cubic foot interior that provides enough storage options. More to that, the unit features a dairy shelf, gallon-sized door bins, a tall item accommodation, and a humidity-controlled crisper bin all of which are designed to help you get the perfect location for different types of food. 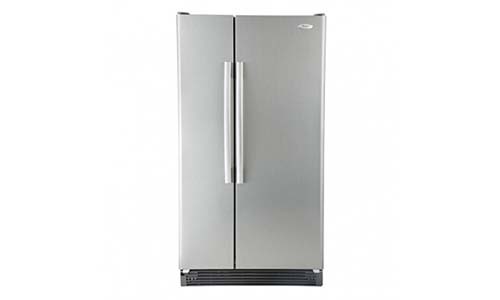 You can get Kenmore refrigerator when you are in need of a side by side fridge that is easy to clean due to the adjustable easy-to-clean shelving. More to that, the fridge is a perfect pick for one that is designed to allow you to get fresh water right in your glass since it includes a dual paddle system that provides for a dispenser that dispenses ice and another that dispenses water. The ice dispenser features a clear built-in window meant to keep tabs on the ice levels. Also, there is a built-in water filter on the water dispenser meant to reduce water contaminants. 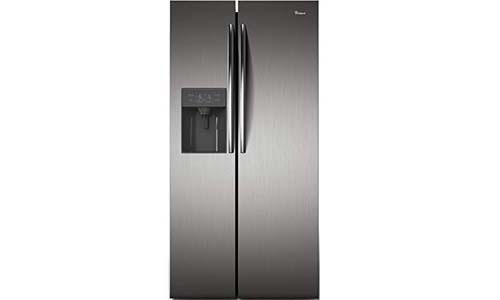 You can also gain the benefits of using this fridge whenever and wherever you need to use one due to the bright LEDs that allow you to find whatever you need. To start with, I recommend that you find out about the certifications of the refrigerator. For instance, you might want to find out if the fridge is CSA certified or ADA compliant. The reason behind this is that such certifications guarantee quality and safety. 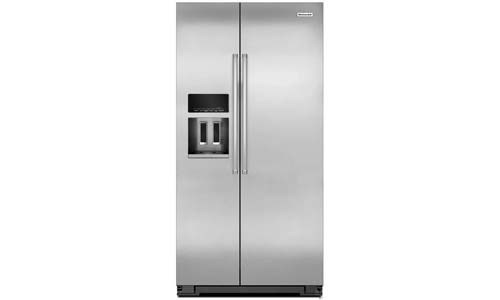 So, get a unit that is accredited by a reliable body if you are in search of a refrigerator that will provide years of service. Besides that, opt for a model that is energy star rated. That way, you can rest assured to have received a refrigerator that will not result in high electrical bills. Different types of food require different temperatures and humidity levels so that they can remain fresh. As such, it is ideal that you get a refrigerator that allows for precise temperature and humidity control. Therefore, opt to get a fridge that includes an LED display that allows for precise temperature and humidity control. The size of the refrigerator is another factor to consider since you do not want to purchase a unit that will be rendered useless until you can purchase a big house. Thus, take careful consideration about the size of the fridge and measure it to ensure that it can fit on the available space before making a purchase. Also, ensure that the interior space is suitable for you based on the amount of food that you want to store. That way, you can be sure to get many returns after purchasing the fridge. Though this is not a feature that is common to all side by side refrigerators, I recommend that you consider purchasing a refrigerator with dual evaporators. By this I mean, a fridge that includes an evaporator on the freezer and another on the refrigerator side. That way, you can keep Produce fresher for longer since the evaporators prevent air from circulating between the freezer and refrigerator. Hence, you can be sure that dry freezer air will not dry food in the refrigerator. Besides dual evaporators, you might want to get a refrigerator that includes adjustable glass shelves. The reason behind this is that glass helps to retain cold air better than plastic while the adjustability characteristic enhances flexibility when it comes to storage and ease of cleaning. So, opt a fridge that includes adjustable glass shelves. More to that, find out whether the shelves are spill proof to prevent water from spilling to the shelves below. Today, most side by side refrigerators incorporate a built-in water dispenser. This means that they serve as a great option when you need cold or hot water at a glance. 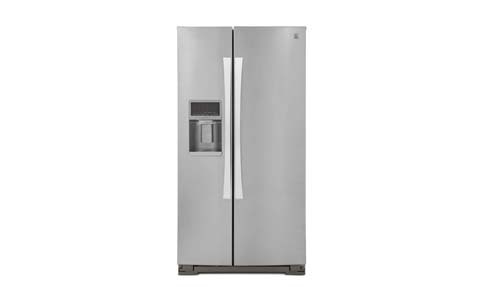 So, if you want to gain even more convenience, you might consider acquiring such refrigerators, but also note that such units need greater maintenance since the dispenser is prone to breaking. Another feature that is worth putting into consideration is an audible door alarm. Such a feature notifies you when you leave the door open for more than two minutes. As such, you can be sure to have an effective unit by ensuring that the door is closed at all times. 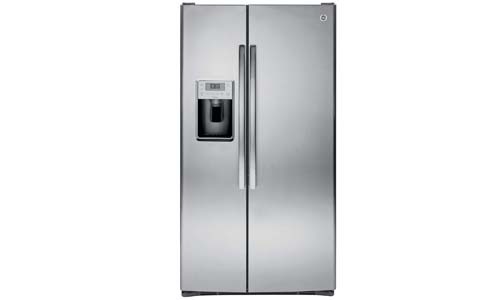 Refrigerators comprise the vital items that enhance the smooth rolling of our lives. After all, these units play a major role in enhancing savings since with the best refrigerator, you can purchase food in bulk for a discount and even lengthen its shelf-life further enhancing savings. So, do not consider the search for the best side by side refrigerator a waste of time since it serves as a major investment when you want to ensure long-term savings.